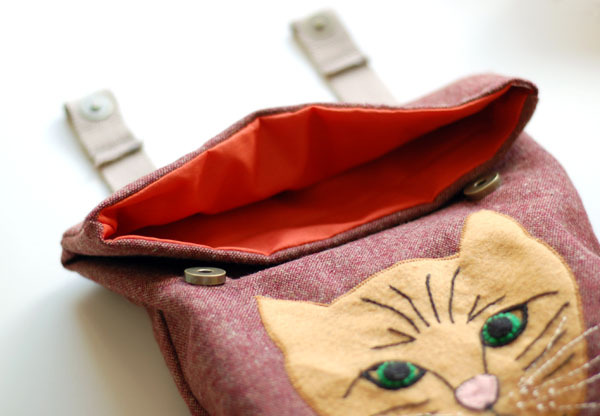 Fiz esta mochila para a minha afilhada, que tem 2 anos e adora gatos. Usei um tweed vermelho e bordei o gato a feltro e linha. A mochila fecha com molas magnéticas e as alças ajustam-se com um nó. 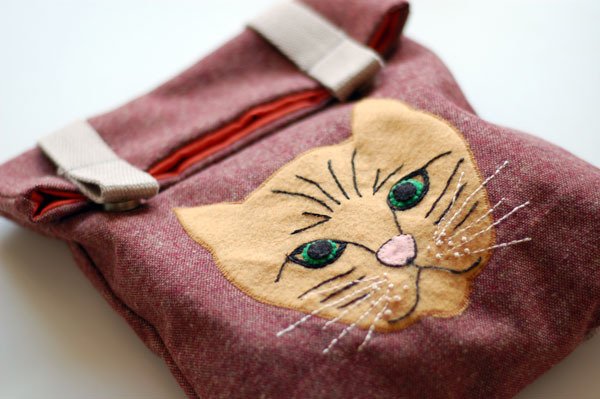 I made this backpack for my goddaughter, who is 2 and loves cats. 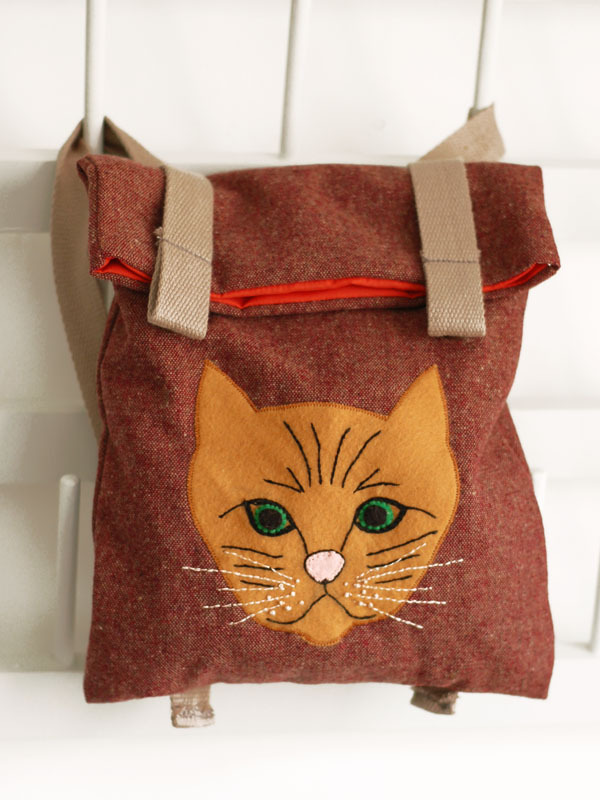 I used a red tweed and stitched the cat with felt and cotton thread. 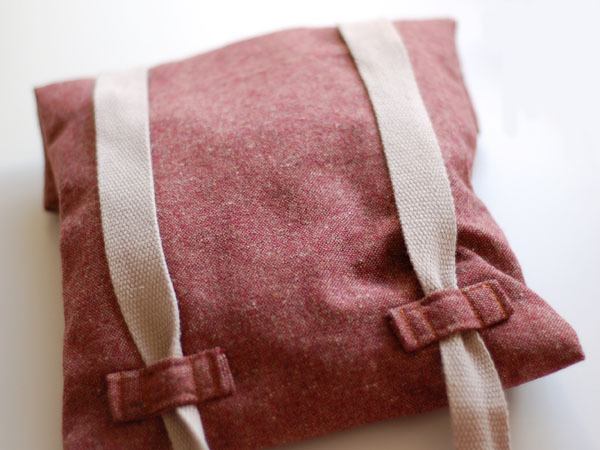 The bag closes with magnetic buttons and the straps can be adjusted with a knot.